It was the biggest winning margin of the F1 season so far - how did Lewis Hamilton win in Spain by over 20 seconds, just two weeks after an Azerbaijan win he himself described as lucky? And what is the next step in the development race? It's one of the USPs of F1 the development race away from the track is every bit as intense as the combat on it. Every team has to focus on its strengths and weaknesses between races, thinking creatively to find more speed for the next event. Of course it takes resources, both human and financial to maximise the effect but it's also about reacting to what has happened in the season so far. It's like a giant jigsaw puzzle that carries on all season. Spain is the first European leg of the Formula 1 season, so traditionally it's here that most teams bring substantial aerodynamic updates to their cars. They've had time, over the first four races, to focus on the details of performance, to understand how their designs are working in the real world, and to be creative. But now that time is running out. 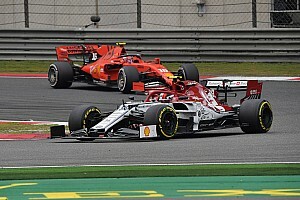 Although modern Formula 1 has become so competitive that many teams now develop iteratively, adding new elements each round, it's still more convenient and less costly to bring major updates to Barcelona than, say, far-flung Shanghai or Baku. The Circuit de Catalunya also boasts the virtue of having more in common with the majority of circuits on the calendar than the venues for the first four rounds, each of which is unique in character. That's why so many teams introduced noticeably different front wings and bodywork features in Spain: not only will they be useful for the rest of the season, they enabled teams to compare their current performance with the baseline they established at Barcelona during pre-season testing. Moving forwards means staying in the zone. 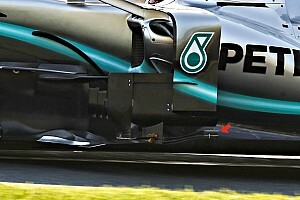 Mercedes had updates to the front wing, sidepods and diffuser. "We try to improve the car every time we hit the track," says Mercedes AMG Petronas Technical Director James Allison. "We've seen things in the first races that we're trying to modify our approach with so that we get our car to perform better as the season goes along. Anything you can do to make the bodywork and wings work better will bring you quite a lot of laptime at a track like this." Innovation is key in Formula 1. If you're not continuously moving forwards then you're standing still - or going backwards - relative to your competitors, all of whom are pushing hard to find performance gains. Learning, innovating, designing and building means a constant battle against the clock: miss a deadline and those new parts won't be ready in time. "It's a relentless process because what we did at the last event won't be good enough for the next one," says Mercedes AMG Petronas Chief Operating Officer Rob Thomas. "We're always looking to squeeze out whatever we can. "Because we're trying to get everything to the car as quickly as we can, the pressure really comes in trying to design and make things in such a short timeframe and getting them to perfect quality." Whenever you're pushing the boundaries it's never a given that an upgrade will work as well on track as the simulations indicated, so even as the new parts go in the back of the truck the design team is sketching out further developments. Whether they are taken forward will depend on the results from the track. So while the development process in the drawing office and on the factory floor never stops, sometimes the leaders need to pause, step back and take stock of the big picture. 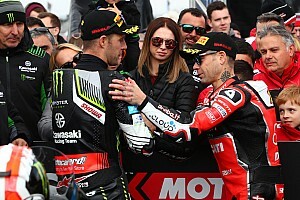 "While we've bagged up and prepped a lot of stuff for Barcelona and sent it off to the track," says Allison, "it doesn't stop for one minute, all the work that's going on here to get ready for the next race - and the race after that. "It's important for me to actually find time where I can get my head straight, to think more strategically, to make sure the car is as quick as it can possibly can be at every single track." 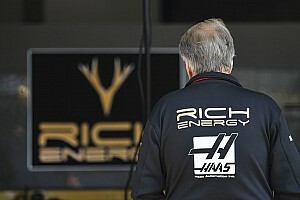 What do you think of Mercedes getting the biggest winning margin of the season? Can the others respond in their own development race? Is Kubica the answer for Williams?